In this tutorial, I will show you how to create a fun artist clipart made from a large rectangle and several circular shapes. You can either decide to draw this character using a digital application just like I did or simply draw this artist with a pencil and a piece of paper. Both techniques are simple to achieved and you will learn from both. 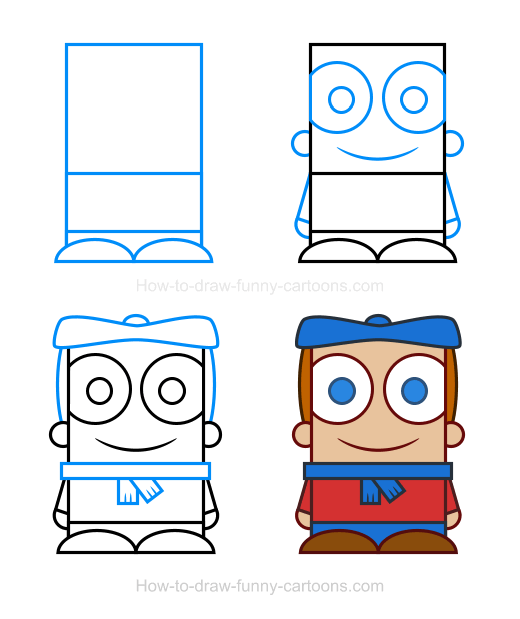 You can start by sketching the head using a square. Then, create the body with a large rectangle. A smaller one is used to illustrate the legs of the character. Finally, both feet are done from curved lines. As you can see, I like to use thick outlines to make the cartoon character even more friendly and fun to look at. Next, you can draw some ears using small circles. The eyes are done using large circular shapes while smaller circles are used to represent the pupils. The mouth is sketched with a large pointed curved line. 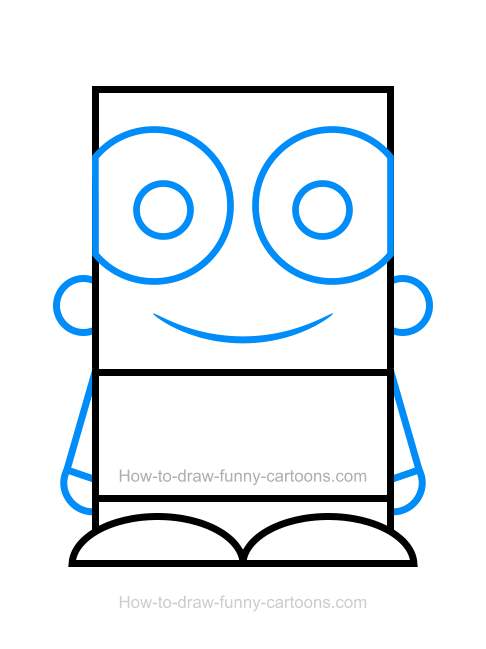 Continue working on this character by drawing the arms using rectangles. Hands are done with small circles. Nice work! We are almost done! On top of the head, use a couple of curved lines to create the hat. 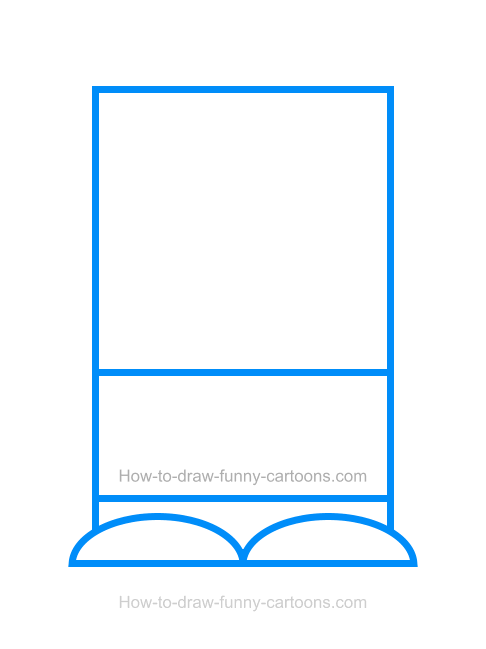 On top of the hat, you can draw a small circle as shown below. Then, some hair can be added on both sides of the head. 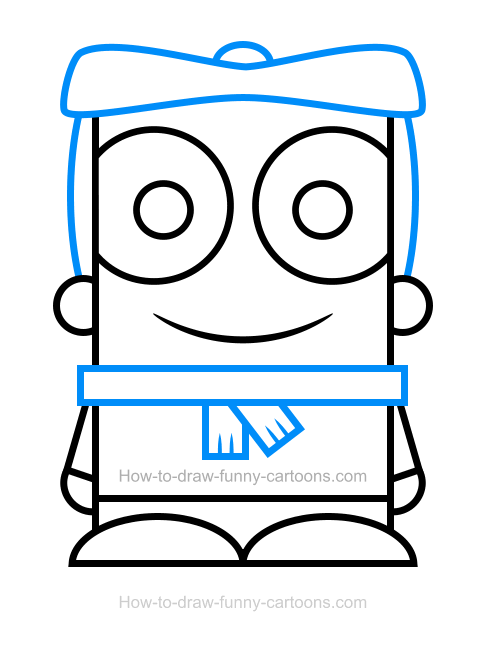 When you are finished, draw a long rectangle below the head to illustrate the scarf. More rectangles are also added below the scarf to complete this one. Let's add some colors inside the cartoon artist to make this one visually appealing. A light skin color can be applied on the face, the ears and the hands. 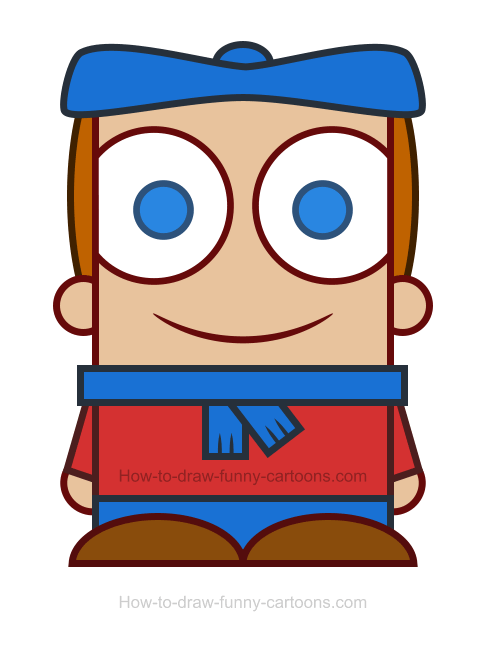 The hat, the pupils, the scarf and the pants are filled with a bright blue color. The shirt can be red and the hair can be brown. That's it for this artist clipart! Great work drawing a nice artist clipart made from basic elements!